This prize is awarded to the author of the best submitted scientific article. 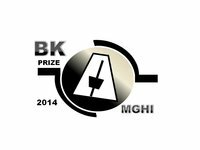 The winner will present his work and receive the prize during the 4th Metronomic Meeting that will take place in Milano in June 2014 (click here for more information) All accepted abstracts will be published on the MGHI website. The dead-line for submission is 30/03/2014 Results will be given by email before the 10th of April. Abstracts mus be submitted in English by email at metronomicsghi@gmail.com. Each abstract should consist of four separate paragraphs. These should be labeled Background, Methods, Results, and Conclusions. Each abstract should, briefly and concisely, describe the problem or issue being addressed, how the study was performed, the salient results or findings, and what the authors conclude from these results. Abstracts are not to exceed 200 words, excluding title and authors.The length should correspond to approximately 1 pages, single-spaced, in a Word document Abstract titles are restricted to 25 words.. You will type the title, authors and keywords into individual fields, separately from the body of the abstract. Abstracts submitted for presentation will be reviewed by the Scientific Committee in April. Notification of acceptance and schedule information will be sent in APRIL. Abstracts will be judged according to four criteria: scientific merit, originality, interest for metronomic community members and clarity of expression.